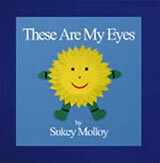 Sukey's Music - Sukey Molloy! 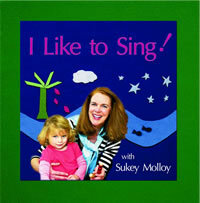 Listen to Sukey Molloy’s music on her award-winning CDs. 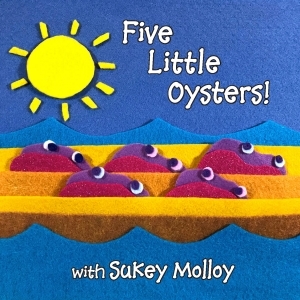 Fifth in Sukey Molloy’s award winning musical collection, Five Little Oysters features favorite traditional family tunes, original songs, and the spoken word. 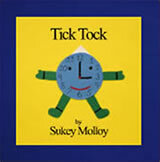 In keeping with Molloy’s up-close, cheery, participatory style, Five Little Oysters invites listeners into a personal, intimate world of familiar old time favorites! 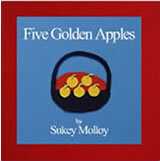 Molloy changes up the lyrics with lots of special effects, creative rhythmic nuances, and colorful percussive textures, and highlights educational, learning fun with counting, farm animals, and cozy family listening for children of all ages! 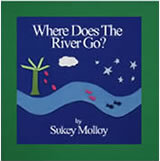 Visit the Sukey’s Picture Books page to shop for the companion audio-picture-books. 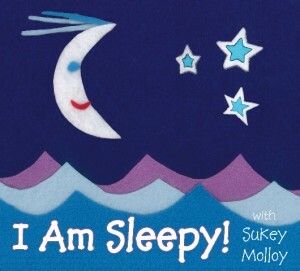 Created especially for children’s bedtime, I Am Sleepy draws children into a safe and trusting relationship as they settle into cozy slumber. 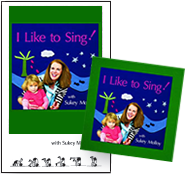 Fun, gentle, upbeat songs with age appropriate lyrics created to invite participation, and make the youngest listeners feel happy! A lively, energetic assortment of rhythmic music with an emphasis on movement and song the whole family can enjoy. 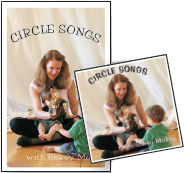 A beautifully arranged collection of children’s songs, chants and movement activities to enhance playing, moving and singing with joy. 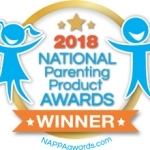 Fred Koch, Chicago Parent Magazine, award winning music educator, recording artist and producer, bestchildrensmusic.com.